1/2 fl. oz. 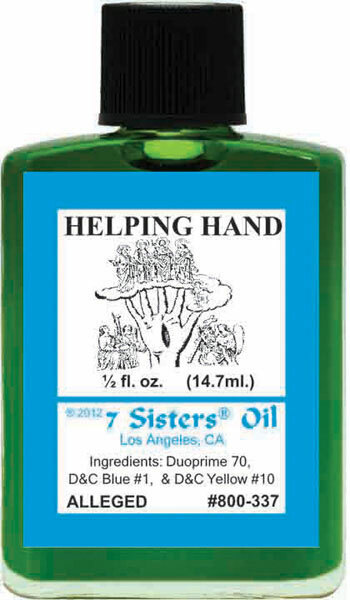 (14.7ml) Use 7 Sisters Helping Hand Oil like a shield to protect from any evil spirits, harmful hexes and bad enemies trying to harm yourself or family. It will bring peace to your life and your home. Oils can be used to dressed candles, it could be use in the body and or to make any kind of rituals. *Please read ingredients before any contact with the skin to avoid any allergic reaction.